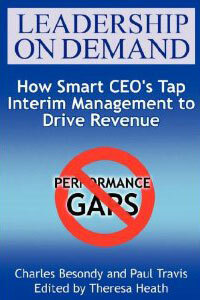 Paul Travis, a Bainbridge-based marketing consultant, is co-author of Leadership On Demand: How Smart CEO's Tap Interim Management to Drive Revenue (2008). 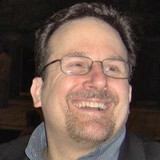 The book argues that a marketing & sales team is at the very core of most organizations. When the team is doing well, the company grows and revenue climbs. However, when there are gaps in marketing & sales the company's performance suffers. Using executive interviews and case studies, authors Besondy and Travis point out the problems caused by talent gaps in marketing & sales, and provide practical solutions through the use of interim managers.